In 1975, Lynne Cox hadn't yet been elected to the Swimming Hall of Fame or achieved international renown as the author of Swimming to Antarctica. She was just a teenage swimming prodigy, training to eclipse the Catalina Channel world record. One morning, completing a predawn swim in chilly California waters, she realized that she had somehow picked up an unbidden companion: a baby gray whale. She knew that if she did the wrong thing and swam into shore, the 18-foot baby would beach itself and die. 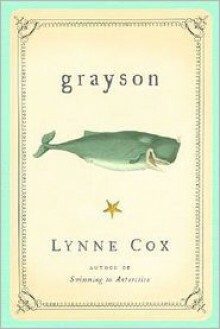 This magical tale tells how Lynne Cox did the right thing. It's one of the sweetest and most fascinating animal stories in years.